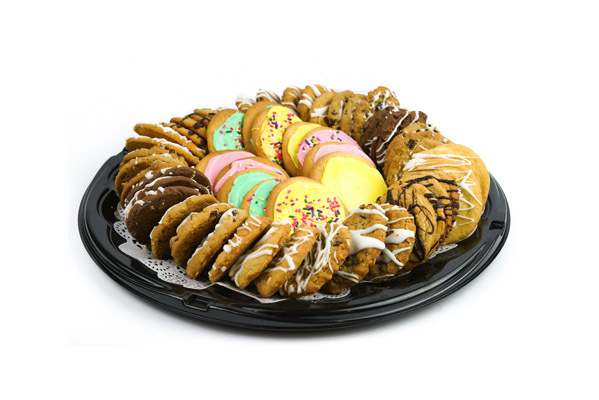 This delicious assorted iced cookie tray includes: Peanut butter, oatmeal raisin, macadamia nut, s’more, lemon, and sugar cookies. * All trays are made to order. If your don’t see what you want please let us know in the note section, and we would be happy to make it for you. © 2017 Haddad's Market All Rights Reserved.